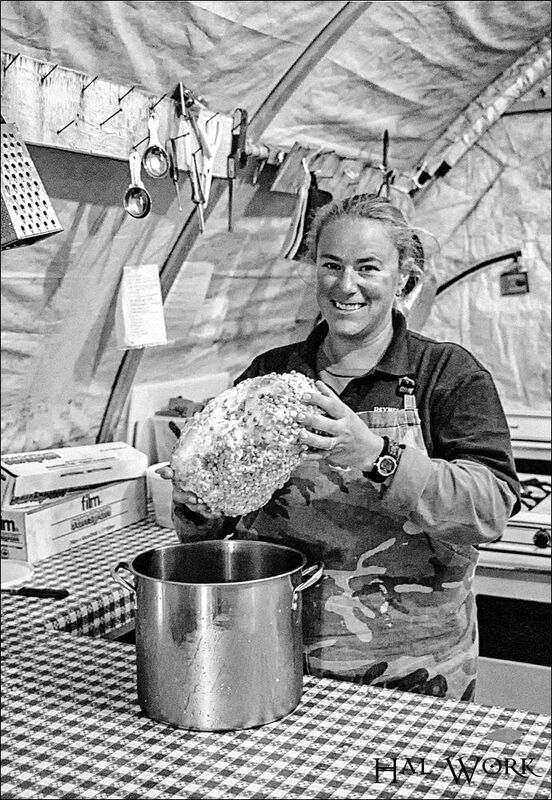 This is our cook at the White Wolf Lake Hunting Camp a few miles south of the Arctic Circle in the Northwest Territory. In the morning, she would tell me how many lake trout to catch for dinner that night. The lake is ice-free for only a few months of the year making the water very cold. We wore float suits whenever we went out in boats. Photograph was taken with film in September, 2006. This entry was posted in black and white, Photography and tagged Arctic Circle, Canada, cook, hunting camp, Northwest Territory, peas, the White Wolf Lake by dod488. Bookmark the permalink.